Bush poet Banjo Paterson is best-known for writing The Man from Snowy River and Waltzing Matilda, Australia’s unofficial national anthem. In 1983, Waltzing Matilda – sung by Slim Dusty – was the first song broadcast by astronauts to Earth. Patterson was a Boer War correspondent, present at the surrender of Bloemfontein and the capture of Pretoria. In WW1 he drove an ambulance, was commissioned, wounded and ended the war as a Major. Banjo Paterson’s image on the Australian $10 note. Banjo Paterson’s image is on the Australian $10 note, with a picture inspired by The Man From Snowy River. The poem commemorates an adventurous ride by an unnamed High Country horseman to recapture a prized steed that had escaped and was running with a wild herd. 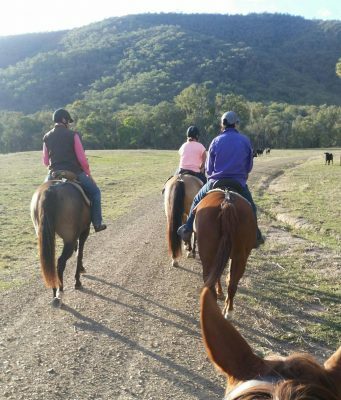 The poem and the High Country lifestyle and history associated with it, is the subject of an annual festival in the small Victorian town of Corryong, where friends bought 340 acres of hilly bush and farmland. At the Festival, a re-enactment of the recapturing the horse is staged on that land, before thousands of spectators. 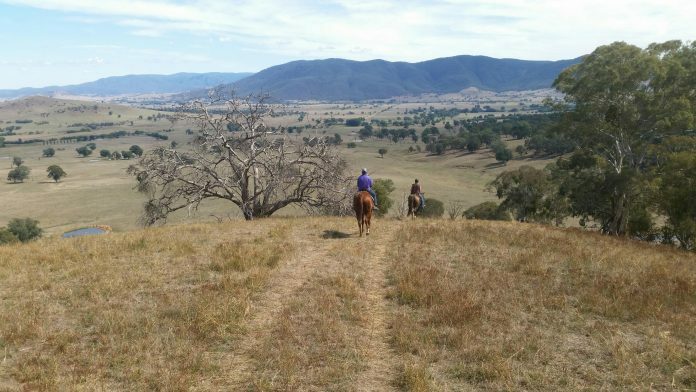 The real Man from Snowy River who inspired Banjo’s poem was identified as Jack Riley, who lived as a cattle and horseman on Tom Groggin, a remote farm or Station, up in the mountains. When he took ill as an old man, a group of men went to bring him into town for treatment but midwinter snow meant old Jack had to be carried on foot before being put on a horse. He died on the mountain and was buried in Corryong cemetery. For about 30 years, a recreation of Jack’s last ride has been held. 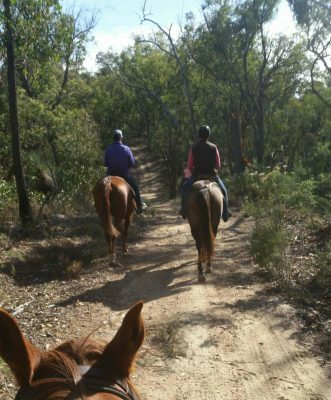 Participating is firmly etched on many horse rider’s bucket list but only 50 people can be accommodated on the five-day Riley’s Ride. Many people, including Americans and Canadian, apply for a decade before getting accepted on to the epic trek across the highest parts of the Australian continent. Riley’s Ride organisers Cam and Kerryn Jackson, who now own the land where the re-enactment takes place, provided my wife Liz with a horse and invited her on the ride. We spent the weekend at their ranch so Liz could ride the horse, and see some of the country, while Cam and I worked on installing some spectator benches, installing a gate and removing dead trees that had fallen over some tracks. One of them was a metre in diameter and a section of it made some impressive noises once it was tipped off the track and rolled down the mountain! The event runs between April 4 and 7, in Corryong, central Victoria. 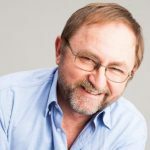 An award-winning journalist, editor, TV producer, scriptwriter, narrator, firefighter, former racing driver and ex-soldier, Steve has lived in 10 countries, and can order beer in nine languages. He rode a motorcycle around the world in 2017 and last year published his first book of short stories, Such Is Life.